For teaching resources on Alice's books, please visit Teaching Resources. 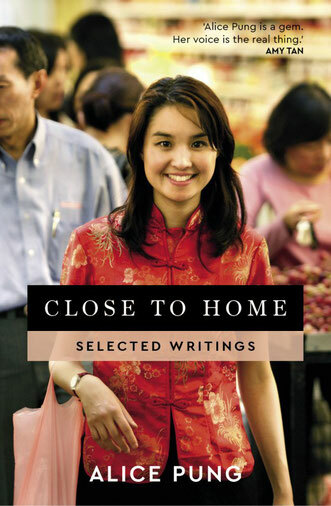 "Reading her, you feel welcomed into an atmosphere which is good-humoured and benevolent, charged with powerful love, and yet at the same time mercilessly scrubbed of sentimentality"
This delightful collection brings together Alice Pung’s most loved writing, on migration, family, identity, art and more. 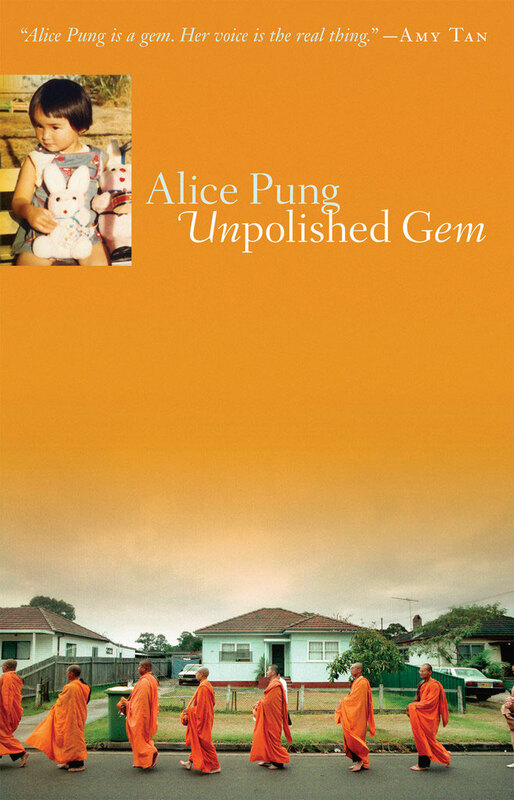 Warm, funny, moving and unfailingly honest, this is Alice Pung at her best – an irresistible delight for fans and new readers alike. 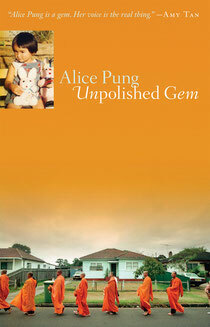 In 2006, Alice Pung published Unpolished Gem, her award-winning memoir of growing up Chinese-Australian in working-class Footscray. Since then, she has written on everything from the role of grandparents to the corrosive effects of racism; from the importance of literature to the legacy of her parents’ migration from Cambodia as asylum seekers. In all of this, a central thread is the idea of home: how the places we live and the connections we form shape who we become, and what homecoming can mean to those who build their lives in Australia. 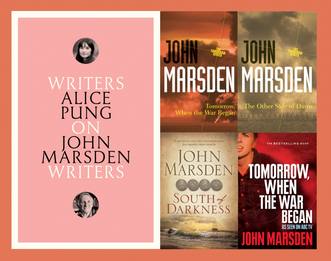 "I keep coming back to John Marsden. What makes him so fascinating to me is that he approaches writing for young adults with a whole philosophy of what it means to be a teenager – a philosophy that’s embedded in the two schools he runs, but also in his early experiences with mental illness and hospitalisation. His perspective raises interesting questions about YA fiction – how much darkness is allowed, before you are considered a “bad influence"?" In the Writers on Writers series, leading authors reflect on an Australian writer who has inspired and fascinated them. Laurinda is an exclusive school for girls. At its hidden centre of power is The Cabinet, a triangle of girls who wield power over their classmates – and some of their teachers. 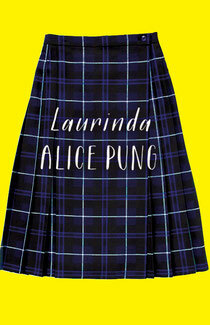 Entering this world of wealth and is Lucy Lam, a scholarship girl with sharp eyes and a shaky sense of self. As she watches The Cabinet in action, and is courted by them, Lucy finds herself in a battle for her identity and integrity. Few genres are more enthralling than the school story. Part satire, part coming of age novel, Laurinda explores culture, class and conflict through an involving, original story that captures the minute dramas and searing pangs of school life today. At twenty-something, Alice is eager for the milestones of adulthood: leaving home, choosing a career, finding friendship and love on her own terms. But with each step she takes she feels the sharp tug of invisible threads: the love and worry of her parents, who want more than anything to keep her from harm. Her father fears for her safety to an extraordinary degree – but why? As she digs further into her father's story, Alice embarks on a journey of painful discovery: of memories lost and found, of her own fears for the future, of history and how it echoes down the years. 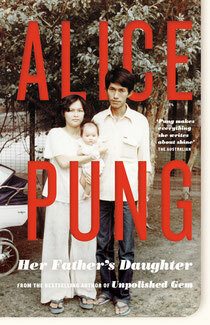 Set in Melbourne, China and Cambodia, Her Father's Daughter captures a father–daughter relationship in a moving and astonishingly powerful way. Buy Her Father's Daughter here. This story does not begin on a boat. Nor does it contain any wild swans or falling leaves. In a wonderland called Footscray, a girl named Alice and her Chinese-Cambodian family pursue the Australian Dream – Asian style. Armed with an ocker accent, Alice dives head- first into schooling, romance and the getting of wisdom. Her mother becomes an Aussie battler – an outworker, that is. Her father embraces the miracle of franchising and opens an electrical-appliance store. And every day her grandmother blesses Father Government for giving old people money. Unpolished Gem is a book rich in comedy, a loving and irreverent portrait of a family, its everyday struggles and bittersweet triumphs. With it, Australian writing gains an unforgettable new voice. Voted one of Victoria’s top 5 summer reads in the State Library of Victoria's Summer Read program. 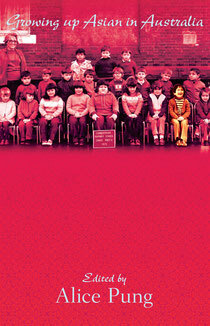 Buy Growing Up Asian in Australia here.